Winners of the 2014 Africa investor Infrastructure Investment Awards announced at the Ai Infrastructure Investment Summit in Nigeria. Abuja, Lagos, Nigeria; Johannesburg, South Africa; 6 May 2014: Africa investor (Ai), a leading international investment and communications group, today announced the winners of the Ai Infrastructure Investment Awards at an exclusive ceremony held today. The Awards formed part of the Ai CEO Infrastructure Investment Summit, which took place in Abuja, Nigeria, ahead of the World Economic Forum. Developer of the Year was awarded to Bolloré Africa Logistics for their Pemba Terminal Services Project; Rand Merchant Bank’s power project portfolio was awarded Power Deal of the Year; while the Kenyan Government and its partner, the China Road and Bridge Corporation was recognised for Transport Deal of the Year. FBN Capital was awarded ICT/Telecoms Deal of the Year for their arrangement of a debt facility for Emerging Markets Telecommunications; Befesa Ghana’s desalination plant in Accra won Water Deal of the Year; Social Infrastructure Deal of the Year was awarded to the Government of Angola’s Calombolica Prison project. Oando Energy Resources’ acquisition of ConocoPhillips was recognised as Oil and Gas Deal of the Year, while the African Development Bank’s Private Sector Division was named PPP Champion of the Year. Harith General Partners’ infrastructure fund, PAIDF2, was named as Infrastructure Fund of the Year while Infrastructure Regulator of the Year was awarded to the Nigerian Electricity Regulatory Commission. The Government of Kenya was named as Sponsor of the Year while Bank Arranger of the Year was given to Standard Bank. 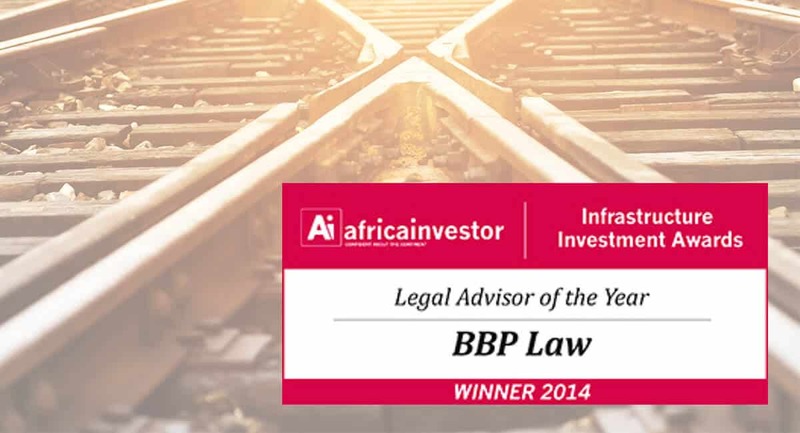 BBP Law was recognised as Legal Advisor of the Year while Standard Chartered Bank took advisor of the Year. Regional Project of the Year was given to DHL for their investment into West Africa and, in a new category, Healthcare Deal of the Year, GE was recognised for their hospitals project in Abuja. Finally, His Excellency Uhuru Kenyatta, President of the Republic of Kenya, was awarded Infrastructure Personality of the Year for his vision and leadership on implementing vital infrastructure projects in Kenya during his term. Africa investor would like to thank their Summit partners and sponsors, which include: GE, The European Union BizClim Facility, Rand Water, the African Development Bank, Rand Merchant Bank, Ecobank, Bolloré Africa Logistics, Tincan Terminal Lagos, ARM Infrastructure, Zuma Energy, Shoreline Energy, Damac Properties, the NEPAD Planning and Coordinating Agency, the African Business Roundtable, Africa investor Capital, the World Bank Group, the African Union, Bunengi Group and Quadrant.